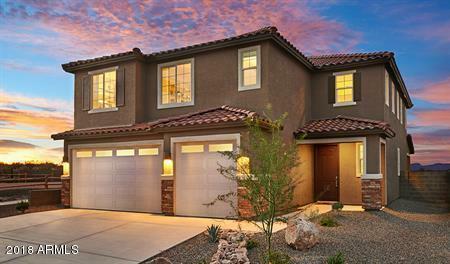 BRAND NEW GILBERT COMMUNITY!! Be one of the first to purchase in this community. Boasting a desirable location in west Gilbert--with easy access to abundant recreation opportunities, downtown Gilbert and neighboring cities--Bella Verde features a versatile selection of new homes with incredible included features and hundreds of personalization options. The main floor of the Yorktown was designed for entertaining, offering an expansive great room, an open dining room overlooking a covered patio and backyard and a well-appointed kitchen with a large center island. The 3-car garage leads to a convenient mudroom with walk-in closet, a powder room and a private study. On the second floor, there's an immense loft surrounded by three bedrooms, a shared bath, laundry room & master suite!